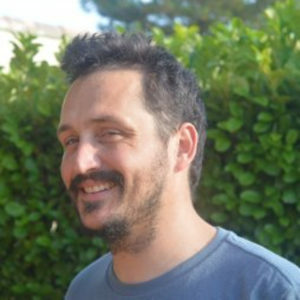 Nicolas Bachelard is currently a postdoctoral fellow at Technical University of Vienna in the group of Stefan Rotter. Under the supervision of Patrick Sebbah, he completed his PhD in 2014 at the Institut Langevin (ESPCI, Paris), during which he focused on the control of random-laser sources. In early 2015, he joined the team of Xiang Zhang at UC Berkeley for a first postdoctoral position. In this group, Nicolas Bachelard developed self-organization schemes to form dynamic photonic and phononic devices. His research interests encompass the study and the control of random media through designed excitation as well as the emergence of order far from thermodynamic equilibrium in photonics systems. In Vienna, he recently started a new activity on topological photonics, in which collective properties are imposed by gain-loss distributions. In 2015, he received the “Prix de la Chancellerie” that awards the PhDs defended amongst different Paris universities.